Like many others in the 1970s, Terry became interested in the martial arts after being inspired by watching the power and ability of the late Bruce Lee. He started his journey by joining the Crawley Judo Club, which he attended regularly for about 8 years. After a while, however, he found that there was something missing. A friend gave him a copy of the “Gichin Funakoshi” master text for karate, Funakoshi being the man who really developed karate from Okinawa-te, the original art. He joined the Ryushinkan Karatedo school and followed the wonderful teaching of Sensei Peter Connolly. Peter had brought the style to the UK at the request of the respected Master, Soke Shosaku Ueno, after a visit to Japan. After some years of training, Terry was honoured with a Second Dan black belt and began teaching. 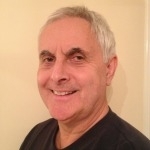 During this time, Terry had experienced Yang short form Tai Chi whilst on holiday and also at adult education classes locally and was very keen to develop this interest. He eventually began learning the Yang Long form (108 techniques) under Andy Grady, who was a student and teacher under the direction of the late Master, Akira Lim. He enjoyed the style for its health and well-being benefits, but also because it can, if desired, still draw on the martial background from which it originally developed. Terry took over Andy’s classes, at his request, when Andy moved away. For his own continued development, Terry also trains in Wudang style Tai Chi with Peter Ballam. Peter was trained by Dan Docherty, the world-famous teacher of this style who learned from the late Master, Chen Tin Hung, whilst serving as a police superintendent in Hong Kong. He believes that, in the words of Bruce Lee, one should “absorb what is useful, discard what is not and add what is uniquely your own”. To contact Terry please email tjctaichi@gmail.com or telephone 01444 455984 or 07960 502833.